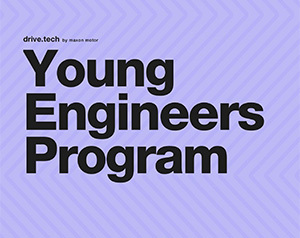 The maxon Young Engineers Program (YEP) supports innovative projects that use electric drive systems. Share your vision with us so that it can become reality. Motors, gearheads, and controllers at discounted prices or even free of charge. Technical support from our experts. Promotion and communication of your project on maxon channels (provided that the project is not confidential). Complete the online form. Our expert team will check your entry and inform you whether and in what way your project will be supported by the YEP. If you are planning an event, you can also take part in our program. Simply fill out the form and we will contact you. You can benefit from having your event advertised on our communication channels. Your event may also be included in our sponsorship program.